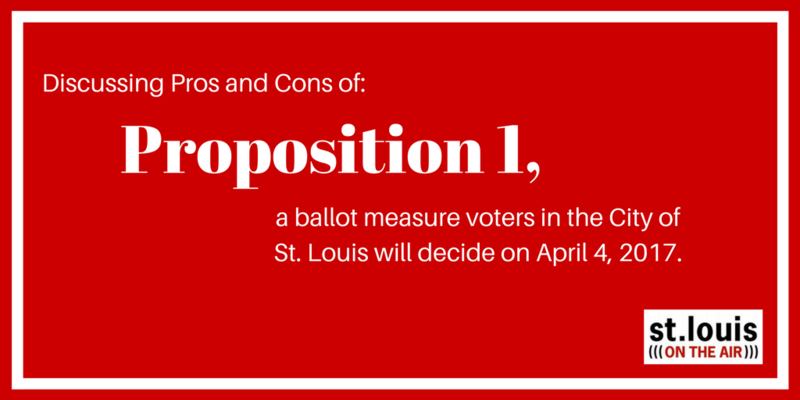 Proposition 1 proposes that the City of St. Louis impose a one half of one percent sales tax. The additional revenue would go to funding a North/South MetroLink line, neighborhood revitalization, public safety and other economic development purposes. It should also be noted that another measure on the ballot, Proposition 2, is dependent on the passage of Proposition 1 to even be considered for implementation. More on that here. Special Assistant to the Mayor’s Office Nahuel Fefer represented the “pro” side of the argument; he supports the measure. No MO Sales Tax founder Ken Newhouse represented the “con” side of the argument; his group does not support the measure. 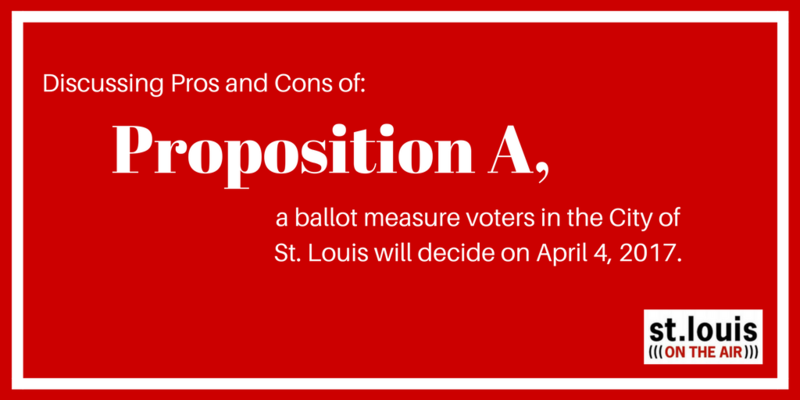 A discussion with a proponent and opponent of Proposition 1, a ballot measure regarding MetroLink and economic development funding, that voters in the City of St. Louis will decide come April 4. (Proposed by Ordinance) Shall the City of St. Louis impose a sales tax at a rate of one half of one percent for economic development purposes including (1) North/South Metrolink, (2) neighborhood revitalization, (3) workforce development; (4) public safety, and (5) to upgrade the city's infrastructure, with annual public audits? PRO: Special Assistant to the Mayor’s Office Nahuel Fefer wants you to vote “YES” on Proposition 1. “Our city’s long-term future hinges on our ability to make critical investments into infrastructure, neighborhoods and ultimately ourselves, our city and our region. That’s why we’re asking voters to approve a half-cent sales tax that is projected to generate about $20 million annually. The other $8 million raised by the Proposition 1 sales tax would be split into four pots: neighborhood revitalization, public safety, workforce development and upgrade city’s infrastructure. In terms of neighborhood revitalization, $2 million per year would be invested in one geographic area at a time to achieve scale, based on the HUD Choice Neighborhood program. Every dollar of the $2 million will be approved by a panel of people who live or work in the neighborhood. In terms of workforce development, $2 million will go into funding the SLATE training and employment program, which currently does not receive general revenue funds. Because it is funded solely by federal money currently, 60 to 70 percent of the folks who apply to the program have to be turned away because they don’t meet federal standardized test benchmarks. CON: No MO Sales Tax founder Ken Newhouse wants you to vote “NO” on Proposition 1. Newhouse believes that using sales tax to fund MetroLink is regressive and will put financial pressure on poor and lower-middle class families in St. Louis. Newhouse also argued that a higher sales tax in the city might prompt people to leave the city for the county or southern Illinois. Newhouse stated that some parts of north St. Louis are at a 60 percent poverty rate. “I’m appalled the city would want to tax the poorest community in the city to fund the MetroLink expansion so they would have access,” Newhouse said.